Problem Description In severe cases younger leaves may be affected and older leaves may off. May occur on acid soils sandy soils or soils with high potassium levels. 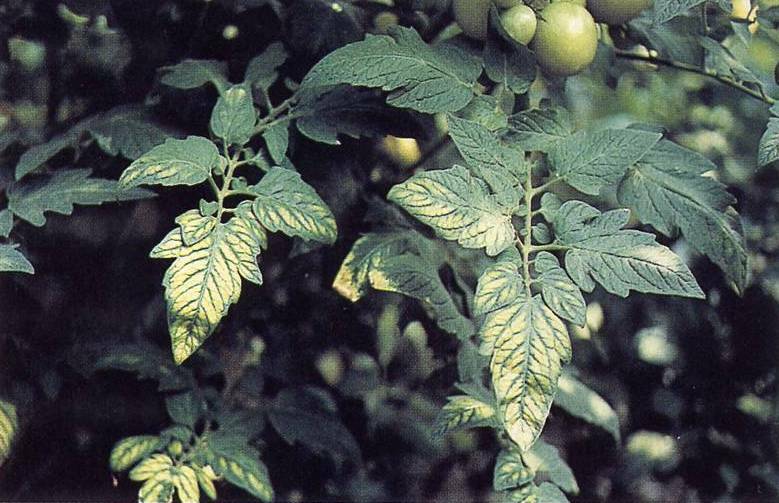 Oldest leaves turn yellow between the veins causing interveinal chlorosis. In severe cases older leaves may off and younger leaves are also affected.